We are fortunate that we can mimic all colours using the additive primaries (pure red, green, and blue). By varying the intensity of each light source we can get any shade of any colour. This somewhat similar to how TV and computer displays work, with each pixel having three colour components, with the mixing occurring in our visual systems. BUY THIS ANIMATION of additive colour mixing with RGB lights! 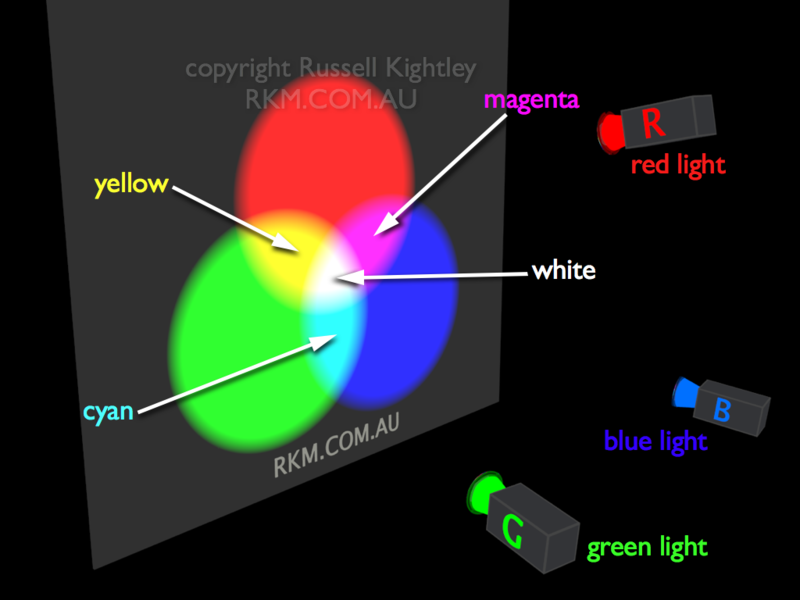 above: Labelled diagram showing additive colour mixing using Red Green & Blue (RGB) light sources. Created using the brilliant Cheetah3D software.